eTeknix are offering up another competition. This time we have teamed up with our friends at BitFenix to offer you a chance to win a BitFenix Colossus Window White Chassis. Full details on the caser can be found on the BitFenix website here! Be a member of eTeknix. You can register here! Like the eTeknix Facebook page. You can do so here! Like the BitFenix Facebook page. You can do so here! Comment below telling us why you should win this case! As ALWAYS spam will NOT be tolerated and offending user(s) will be subsequently dealt with! The winner will be the member picked at RANDOM from the sucessful entries. In the event of a dispute, the judges’ decision is final and no discussion will be open for it! The winner will be notified via their registered email address no later than 14 days from the closing date of the competition! The ONLY prize is ONE Colossus Window White chassis from BitFenix and a premium membership for a year to eTeknix. The competition is open to UK RESIDENTS ONLY and all shipping costs and cost of prize(s) are covered by BitFenix and eTeknix! In any event that the above prize offered is unavailable due to circumstances beyond our control; we reserve the right to offer an equal or greater specification alternative without any hesitation! No entrant details will be passed on to any third-party companies! Prize draws are not open to eTeknix staff, affiliates, suppliers or sponsors! If a user is found to be creating or using multiple accounts, that user will be disqualified from the competition and subsequently dealt with! By entering into this competition, you are hereby accepting the above mentioned terms and conditions of the competition! Last but not least, have fun, enjoy and good luck! I should win this case because my friend needs a new PC badly, and this would allow me to get started on it for him. Socalrailroader;15716 wrote: I should win this case because my friend needs a new PC badly, and this would allow me to get started on it for him. I should win cause Bitfenix have the best looking cases. It's not so much why i would love to win this BitFenix Colossus Window White Chassis. though i would.I really really would…..It's more that this BitFenix Colossus Window White Chassis.. Would love to win Me !…..
You know they say that computer owners should look like their rigs – well its uncanny….I'm a bald albino with five prominant forehead viens….. Cool looking prize – I'm building a PC and didn't realise how expensive top ranking processors are! Good luck everyone! I'm rubbish at 'why should you win'. I should win if you just so happen to pick me out of the hat. Good luck to everyone! Looks like I'll be the only one who promises to keep it clean so maybe that is why I should win it…it would probably stop this slavering too? I think I should win because my current PC has just blown up – smoke, horrible smell, the whole bit. 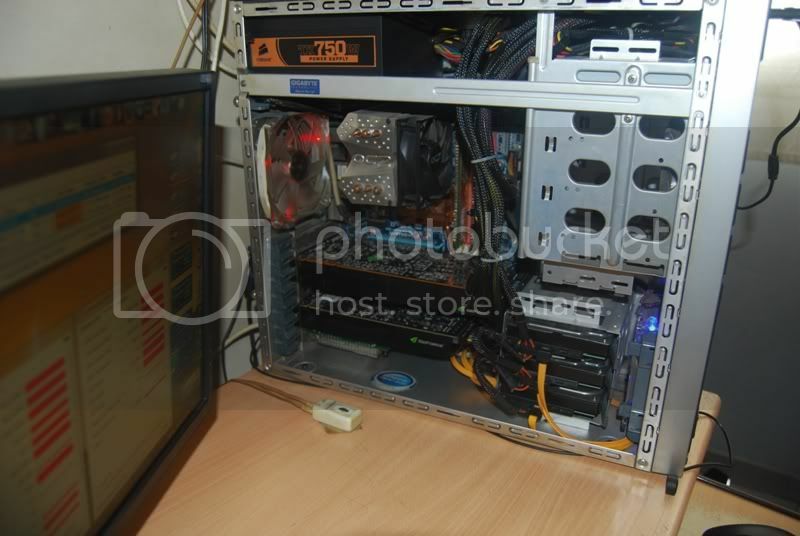 What's more – it was a Shuttle, so I can't just get a new motherboard/PSU, I need a new case! Woe is me. Please save me from this woefully underpowered netbook purgatory! I need to win this case because I am always having to run my kid off this one lolbut it hardly matters since I don't live in the UK good luck all! one of the few chassis I ever saw that I still cannot figure out which I like better either the silver or black the window or non-window with the Colossus. does not matter live in US so not eligible for this one good luck and someone 's going to quite happy pretty soon! I think I should win because my current cheap £10 case cannot keep any components cool and the warm weather is starting. Good luck UK. You guys rock! I hope someone will enjoy this beautiful BitFenix case to its fullest! another dissapointment for members outside UK. I think I should win because I'm new to computer building and I can barely afford to purchase everything I need so i'm slowly buying each component and i've just got the PSU and case to buy as well as the graphics card so if I win this I could buy a high end graphics card and enjoy playing games. Please this would make my life so much simple because I need a computer for college which i'm starting in a couple of months, i'm going to be doing a I.T course. And I need a high end but affordable pc so for a couple months i've been doing my research to build one. PLEASE HELP OUT A STUDENT. Me win? Ya? Probably not….. Thanks for the congratulations. I would like to say a big thank you to eTeknix and Bitfenix.